Every year you are slitting logs with your axe, making sure you have enough wood to last you through the winter. This is a difficult task, and it tires you out. 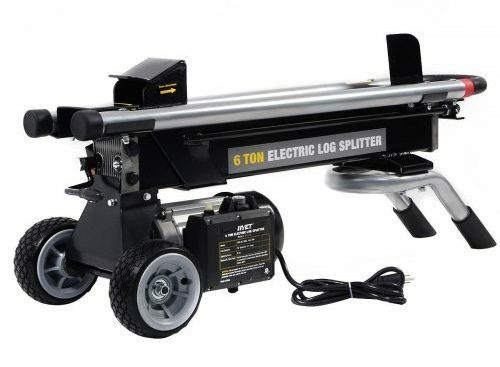 Make your life a bit easier by using one of the best electric log splitters. The handy tool works similar to an axe, but it is electrical. You can chop wood to the right length and size as it has a sharp rotating blade splitting wood into two equal parts. This is necessary for every home that needs wood on a daily basis. 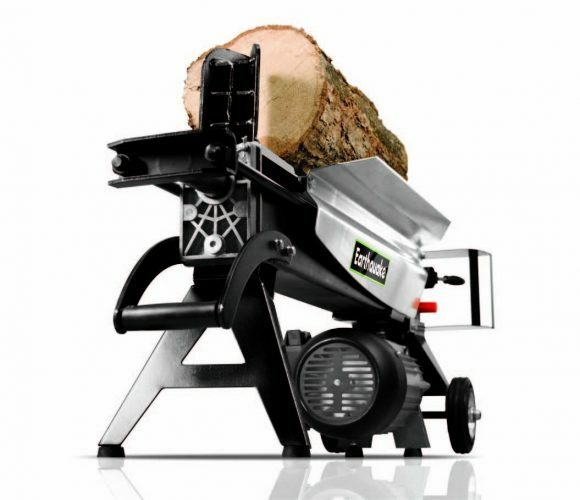 The log splitter offers you ease of use and is great to use if you do not have the strength. 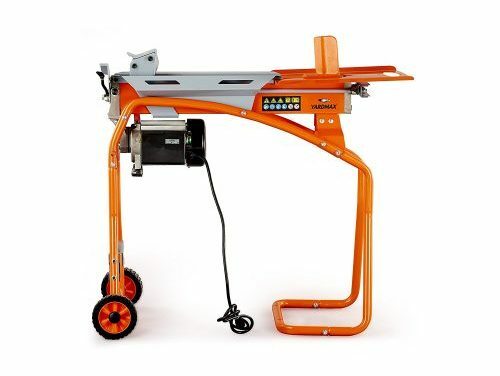 Shorten your time when chopping wood with one of the top 10 best electric log splitters in 2019 right here. We know there is a lot of models and brands available and choosing the right one is a difficult task. So stay a while and find out which of these powerful log splitters has your name written all over it. Not everyone can afford the expensive electric log splitters available online. Here we have selected the Goplus New model sold at an affordable price. This is a 6-ton hydraulic electric log splitter with 1500-watt power and portable design. For the home, this is an excellent choice to keep your fireplace or wood-burning stove ablaze all year round. 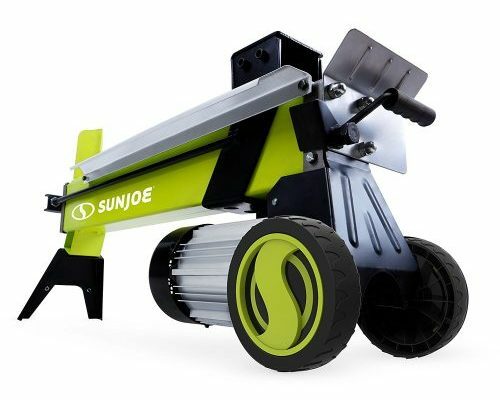 Another affordable electric log splitter with hydraulic ram is the Sun Joe LJ602E. 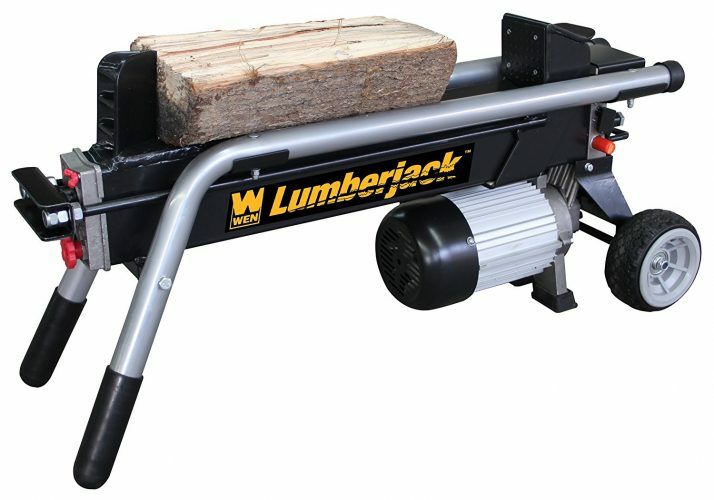 This log splitter has a portable design with a powerful 15-amp motor with outstanding driving force. Use it to chop normal size firewood measuring 10 x 20.5-inches. For safety, it has a dual handed safety switch and it is ETL approved. If you need a powerful log splitter to get the job done, the YARDMAX electric log splitter is the one you need. 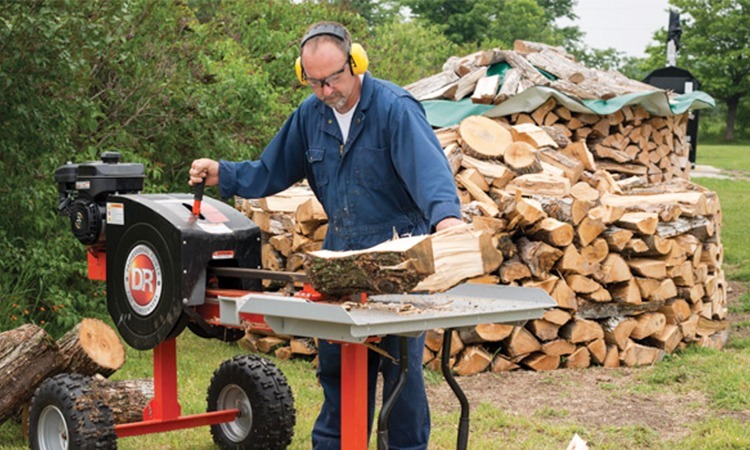 This 5-ton wood splitter has a powerful motor that can handle any chopping task. Included with the tool you receive a stand, stroke limiter, and log tray. Do you need a log-splitting tool you can use indoors and outdoors? WEN has a model made for you at an affordable price, the 56206. The instrument has a 2 HP motor, works with electricity and it has a 6-ton splitting pressure that handles 20.5-inch length logs. With the comfortable grip and tires, you can move it anywhere to use. Another benefit is it is CSA approved and is non-polluting. 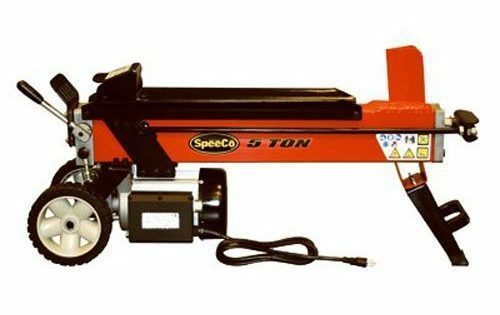 The S40100500 electric log splitter from Special Speeco is a multi-tool you can use at home. This 5-ton splitting tool split up to 20-inch length logs and uses no gas. The apparatus has an automatic push plate return with a built-in log cradle. The 12 Amp motor is copper wound and it has a durable steel construction. The W1200 from Earthquake might be a bit more expensive than our previous models. This log splitter has something to offer that none of the other appliances has to offer a 5-year warranty. The lightweight rolling design allows you to move the device. The handle is rubber coated and uses no gas. Compared to our electric powered log splitters reviewed here, the ES7T20 offers you a one-handed operation. This is not as safe as using a two-handed operation but splits 7-tons of logs with ease. This device is suitable to use with tough woods and has an automatic ram return with a solid grip handle. On the sides, it has rails to keep the wood in place. 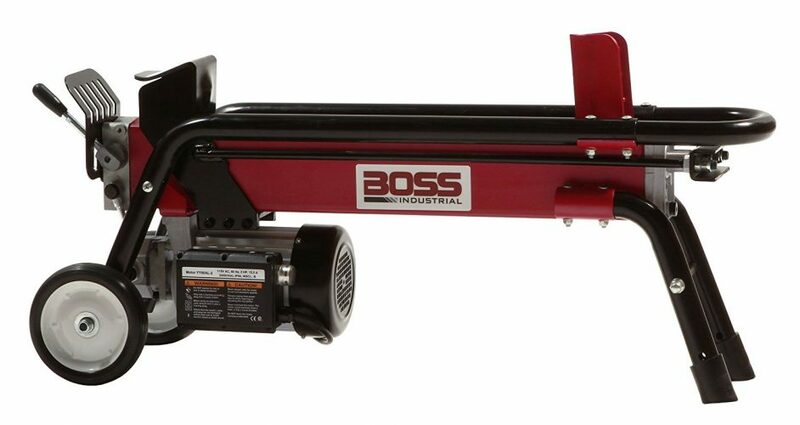 Another affordable 7-Ton log splitter is the XM-380 model from Powerhouse. Compared to the Boss Industrial model this one has a 3HP motor with 3500RPM. The ram travel distance is 15.7-inches and easily splits more than 100 logs in an hour. With the two-handle operation, it avoids injuries and has an automatic retract once you remove your hand from the lever. The XM-580 is another electric log splitter presented by Powerhouse. 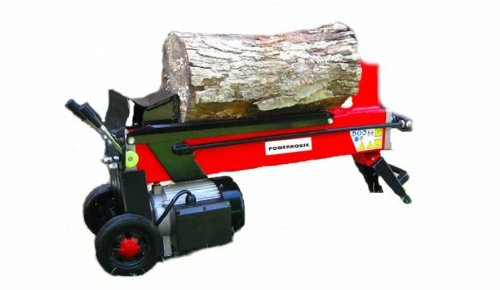 This powerful 9-ton log splitter has a 3HP motor with a portable design. With the hydraulic system, you save on spending a fortune to use gas and have a powerful hydraulic ram. The built-in two-hand safety control keeps your hand away from the splitter and it has a durable steel construction. We have come to the end of our list. If you do have the money to spend, buy the ED8T20 model. This appliance is one of the best electric log splitters you can buy in 2019. It may not have the same force as our previous model, but still offers you 8-tons of splitting force with its 2HP motor. Using the easy push-button start with dual-action splitting ram gets the job done in seconds. Depending on your log splitting needs, we hope our list of the top 10 best electric splitters in 2019 help you out. Personally, our favorite is the Earthquake model with an excellent warranty, while the Powerhouse XM-580 offers you the strength of 9 tons. The great thing is all the models here are hydraulic powered log splitters you can use indoors or outdoors.